Mosquito bites are irritating and painful if you suffer from a reaction. If you have ever been bitten by one, you’ll know what it feels like. Getting rid of mosquito bites quickly will truly be a blessing for those of us with extra sweet blood. 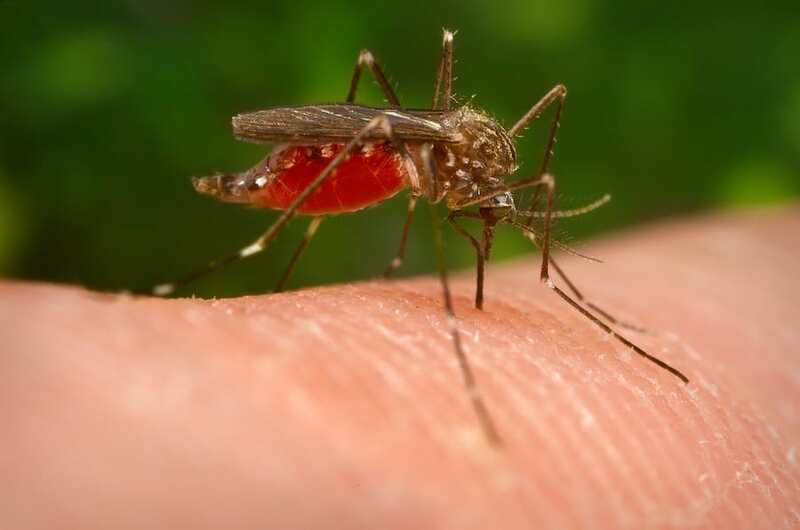 This article will look at different methods and treatments you can use to help mosquito bites heal as quickly as possible. We’ll look at the treatments you can get from the drugstore and those you may already have at home in the kitchen cupboards. How Long Do Mosquito Bites Usually Last? With a mosquito bite, most people will have at least some kind of reaction. The severity varies, depending on the individual. Those who react severely could experience some ugly symptoms. Mosquitoes are most likely to bite between dusk and dawn, as this is when they’re most active. Some people are unaware of the fact that it’s only the females who bite. Males are happy to feed on fruit or plant nectar and water. A reaction occurs when the female pierces the skin with her mouth (proboscis). She injects her saliva, which acts as a pain reliever as well as an anticoagulant. The proteins in the saliva cause reactions. Mosquito bites appear as small pink or red bumps on the skin, and are terribly itchy. The bites will become red and puffy soon after the mosquito pierces the skin. The next day, the bumps will often become harder, and the area will continue to itch. Mosquito bites can remain red/pink for around three or four days. As the bite heals, the itching sensation will diminish. The bump could take up to a week to disappear. The average size of a mosquito bite is less than half an inch. If you experience more serious symptoms or larger bites, you’re having a more severe reaction and need to seek urgent medical attention. An extensive area of itching. Anaphylactic shock, a life-threatening condition where emergency treatment is necessary. If you have any other symptoms, such as fever, headaches, sensitivity to light, or vomiting, you should also seek medical attention. These symptoms could be indicative of a more serious medical problem that requires treatment. Skeeter syndrome is a serious condition which may develop from a mosquito bite. Severe reactions could take several weeks to disappear. You may develop secondary infections that require antibiotics or might need topical or oral medication prescribed by your physician. Reactions to mosquito bites are sometimes referred to as papular urticaria. How to Get Rid of Mosquito Bites Faster? The stinging, irritating itch of a mosquito bite is exactly the symptom you want to ease as quickly as possible. Studies have shown that being bitten throughout your life can help you build up an immunity or tolerance. Other people claim that it has had the opposite effect, making them more sensitive. Either way, we still want to know how to clear up these bites quickly. For mosquito bites with minor reactions, there are many common over-the-counter and home remedies available that will help a bite heal quickly. Check out this list of quick fixes for the next time you are bitten by a mosquito. Try them out to see which works best for you. Of course, you might find that some remedies may work well for others, but don’t help you, and vice versa. First and foremost, don’t scratch. I know, this is easier said than done. When something is itching you like crazy all you want to do is scratch for a bit of relief, but you must resist. This could turn the bite into an open wound, where an infection may be introduced. Keep the area clean and dry by washing with soap and water. The cold from the ice can help to relieve the swelling. It will also give short-term relief from the itching. Oatmeal contains certain compounds that are great for relieving itching and swelling. All you need to do is make a simple paste and apply it to the affected skin. Mix the oatmeal with water to make a paste, then put it onto a cloth and hold it against the skin. If you have several bites all over your body, you could add the oatmeal to a bath. Add a cup of oats to a warm bath and soak in it for around 20 minutes. You can rub the oats into the areas of skin that are affected. Honey has many uses as a home remedy, and treating mosquito bites is one of them. It not only has antibacterial qualities, but it’s also a good anti-inflammatory as well. All you have to do is dab a little onto the affected area. Most kitchens will likely contain a box of baking soda, as it has so many uses. To use it on a mosquito bite, just mix some with a little water to make a paste, and apply it to the bite, leaving it on for around ten minutes. Wash away the solution and check your skin for any signs of irritation. If you notice that your skin reacts poorly to baking soda, stop using it. They may bring tears to your eyes but, to a mosquito bite, they will bring relief. The juice from a freshly cut onion or garlic clove will help to relieve the irritation. They also have antifungal properties which will reduce the likelihood of infection. The type of onion or garlic you use doesn’t matter. Apply it to the bite for a few minutes. Afterward, wash the area and rinse it well. This is a favorite among moms, and most will have it in their medicine cabinet. Containing zinc and iron oxide, it acts as an all-purpose soother. You could also try Caladryl, which is a mixture of calamine and an analgesic. Speak to your pharmacist about using a hydrocortisone cream. These creams contain corticosteroids and will counteract the histamines. This helps reduce the swelling and relieve the itch. While antihistamines won’t provide immediate relief, they won’t take too long to work. You can buy them over the counter at your local drugstore. They work by preventing histamines from binding to the receptors of the blood vessels. This results in the blood vessels returning to normal, the swelling subsides, and the itching sensation will become less bothersome. Whether you prefer medical or natural remedies, there are many to choose from. These are all things that will provide relief, and help with getting rid of mosquito bites quickly.